We are a sports advertising agency that work with golf courses nationwide. 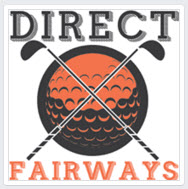 Direct Fairways was created to connect golfer's with great local businesses. As a Inside Sales Representative, you'll be working directly with these local businesses near each golf course to help them achieve their goals through our advertising products. You'll provide a consultative approach to every sale and work with each client to determine their business's needs and aspirations, because we succeed when we help our clients grow their businesses. In this role, you will be directly responsible for selling advertising space on our two products that are scorecards, and course guide books to local businesses across the US and Canada. Success in this role is measured by hitting and exceeding monthly sales goals, consistently staying ahead of daily metrics, and handling rejection in stride, all in a team-focused environment.